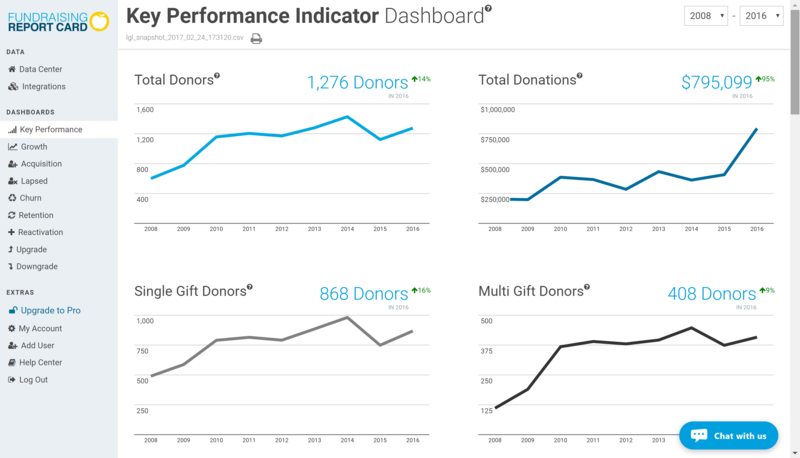 When you take advantage of Little Green Light’s new integration with the MarketSmart Fundraising Report Card, it’s easier than ever to get a pulse on your fundraising efforts. MarketSmart provides the Fundraising Report Card free of charge to nonprofits, and it is easily integrated with your Little Green Light account. 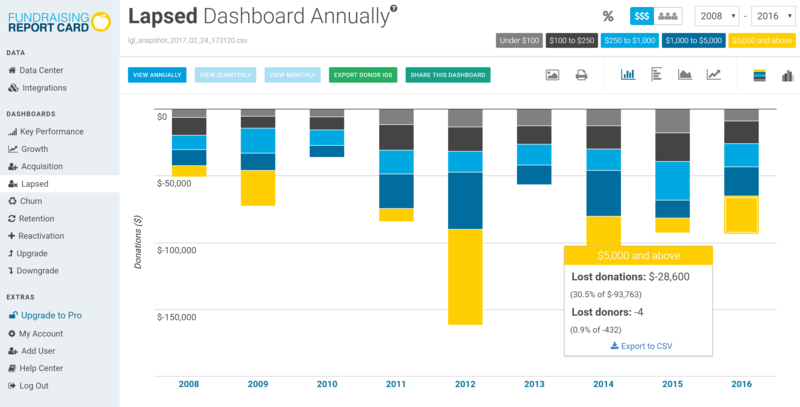 The Fundraising Report Card provides intuitive visual fundraising dashboards, based on the most up-to-date data in your Little Green Light account. 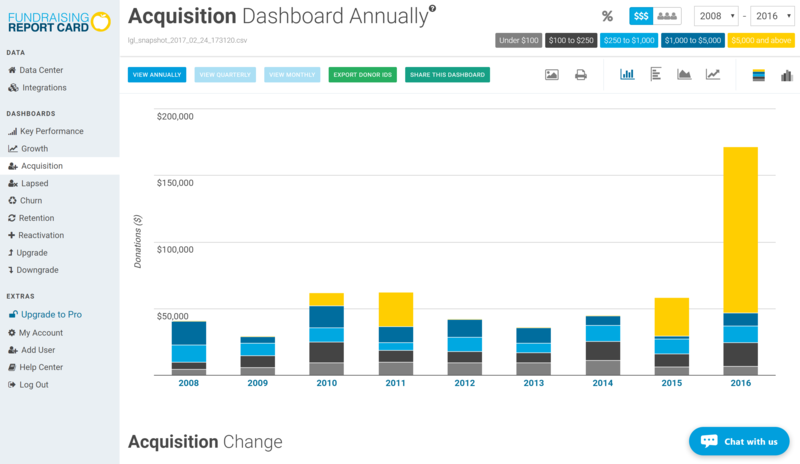 Other yearly dashboard views available in the free version include a Growth Dashboard broken out by giving levels, as well as acquisition, retention, and lapsed donor dashboards. 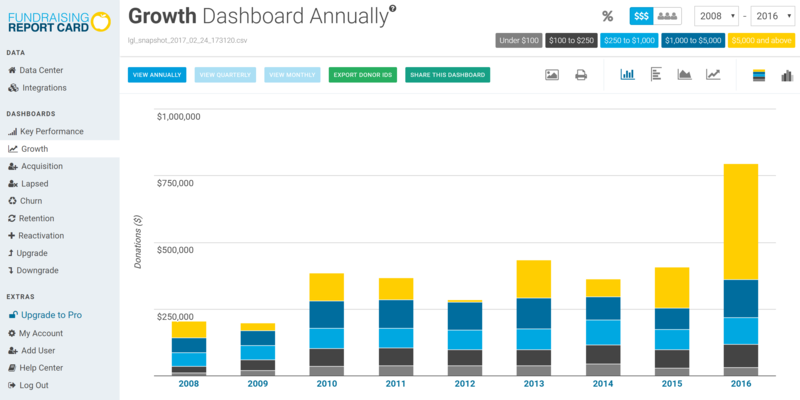 Note: An upgrade to the Pro Version allows you to export reports, set custom giving levels, enable month-to-month and quarterly views, as well as gain access to additional dashboards.